For exciting cities like Lansdale, Philadelphia, and Doylestown, there is almost no better vehicle than an SUV, particularly when you’re driving one of the market’s top models such as the Nissan Armada. Get behind the wheel of the Armada, and you’ll have access to some of the most exciting features you’ve ever experienced, including a lush cabin and bold exterior styling. Read about some of the best features of the 2018 Nissan Armada and find out why you should go for a ride in this thrilling, dependable SUV. When you’re purchasing an SUV, you probably assume you’re going to have to sacrifice style for substance. Fortunately, with the Nissan Armada, you’ll be getting one of the most stylish vehicles on the road, regardless of class. The exterior of the Armada is loaded with eye-catching design cues that you’re sure to love. For example, the available roof rails are both attractive and allow you to transport equipment such as luggage or mountain bikes. The Armada is also available with sleek 20-inch wheels with an exciting finish that you won’t find on other SUVs. Other impressive exterior style features you’ll find with the Armada include chrome air vents, a sharp front grille, and LED lighting. The key in purchasing any new vehicle is getting a comfortable cabin loaded with exciting features, which is the defining characteristic of the new Armada. Whether you want comfort or excitement, you’ll find your ideal features in the Armada’s interior. With three spacious rows, the Armada is the perfect vehicle for a family road trip, and all three rows can be upholstered in luxurious leather. The dual-zone climate control system helps keep the interior of your vehicle at a comfortable temperature, and the driver’s seat is available with a Memory System. To keep all your passengers entertained, the Armada is also available with a Mobile Entertainment System that’s perfect for watching movies or playing games. Although comfort and style are important features to look for in your next vehicle, the main reason to drive an SUV is having access to dependable power and performance, which is another great reason to go for a ride in the latest Nissan Armada. Under the hood of the 2018 Armada, you’ll find an outstanding 5.6L direct injection gasoline V8 engine that is rated at an impressive 390 horsepower and 394 lb-ft of torque. When you properly equip the Armada, you’ll have access to a maximum towing capacity of 8,500 pounds, more than enough to haul your most valued equipment. 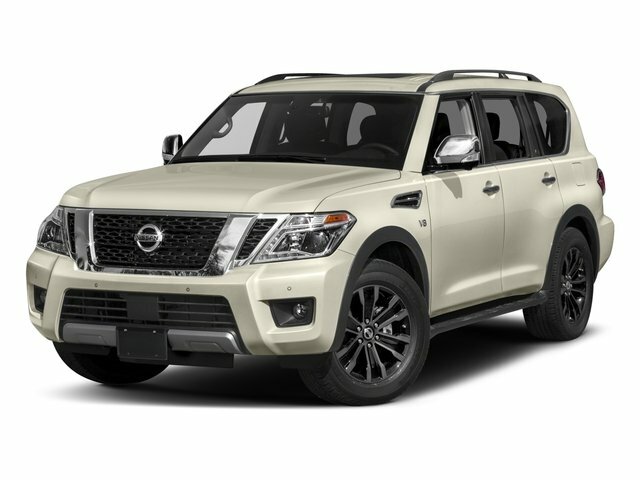 If you’ve been thinking about purchasing a new vehicle, there’s almost no better choice than the excellent Nissan Armada, a top-notch SUV that provides features like dependable power, attractive design and an ultra-comfortable cabin. Take the 2018 Nissan Armada for a test drive today by visiting Montgomeryville Nissan, your reliable local dealership. Montgomeryville Nissan is proud of our legacy of service, and we are the top dealership option for residents of communities such as Doylestown, Lansdale and Philadelphia. Drop by our lot so you can browse our selection of vehicles and get advice from our helpful dealership staff.